Feeling a little down about the state of the world? Wouldn’t it be great to turn on the TV and spend an hour just laughing? Well, forget that. TV has never offered as many comedy options as it does today and yet produced so few actual laughs. We are constantly congratulating ourselves for living through the Golden Age of Television, but I don’t think anyone can really argue that we are in a Golden Age of TV Comedy. 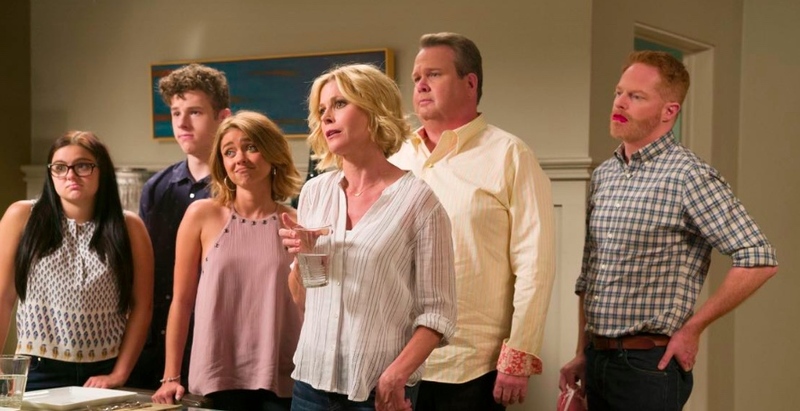 There’s no contemporary equivalent of “I Love Lucy,” “The Mary Tyler Moore Show” or “Seinfeld.” The closest we have today to those classics is “Modern Family,” which is heading into its eighth season and feels more than a little long-in-the-tooth. The problem isn’t confined to network TV. Basic and premium cable are awash in comedies, as are streaming services like Netflix and Amazon. Almost every time I turn on Netflix I’m notified of a new sitcom that seems mildly interesting but usually isn’t. Part of the problem is that many of the new comedies seem to be targeted at niche audiences – black single women, the transgendered, lesbians with mastectomies, older divorcees, teens, Hispanic single moms, African American college students, etc. It’s hard to find a show with universal appeal. To be fair, there are a handful of shows that are actually fresh and funny: “Veep,” “Silicon Valley” and “black-ish” are of-the-moment and hilarious, but none are particularly highly rated, and they ask the audience to think too much ever to penetrate the consciousness of Middle America. Meanwhile poor Jimmy Fallon, who deliberately tried to avoid political controversy, isn’t funny anymore precisely because he seems out of touch. It’s a crazy conundrum – you’re not funny if you talk about politics too much, but also not funny if you pull your political punches. No one seems able to find the happy medium – maybe because the country is too split. One place from where you should be able to squeeze out a laugh or two is from one of the hundreds of stand-up specials on HBO, Showtime, Netflix or Amazon and yet I find this a generally unsatisfying experience. There’s a reason that stand-up works best in front of a live audience. The crowd laughs and you laugh too, even if the joke isn’t that great. But watching alone in your living room with all the attendant distractions? It better be riotously funny. The last stand up special I really enjoyed was Bill Cosby’s 2014 appearance on Netflix (sigh). I did appreciate the achievement of Dave Chappelle’s two recent specials but they were so risqué that I was embarrassed to be watching them even though I was the only one home at the time. In the end, I think the problem might actually be that there’s too much comedy content. How many more comedy shows are there now than in the 1980s, when TV fractured into specialized channels? Five times more? Ten times? But there isn’t five or ten times more comedy talent than there used to be. Writers who used to be the fourth-funniest person in the writers’ room are now showrunners themselves. Comedians who would be barely scratching out a living 30 years ago in comedy clubs or improv companies now have major production deals. Maybe we’d be better off with less comedy and more desperate struggling comedians. That would be worse for them but better for us.